Your little hiker will love this Junior Ranger cinch sack. 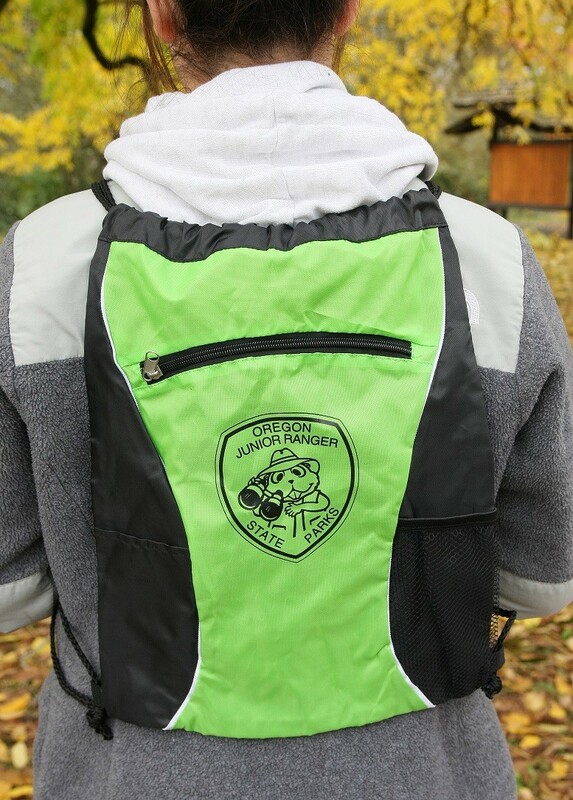 Perfect for carrying our Junior Ranger water bottle and treasures found along the trail. Comes in green/black.